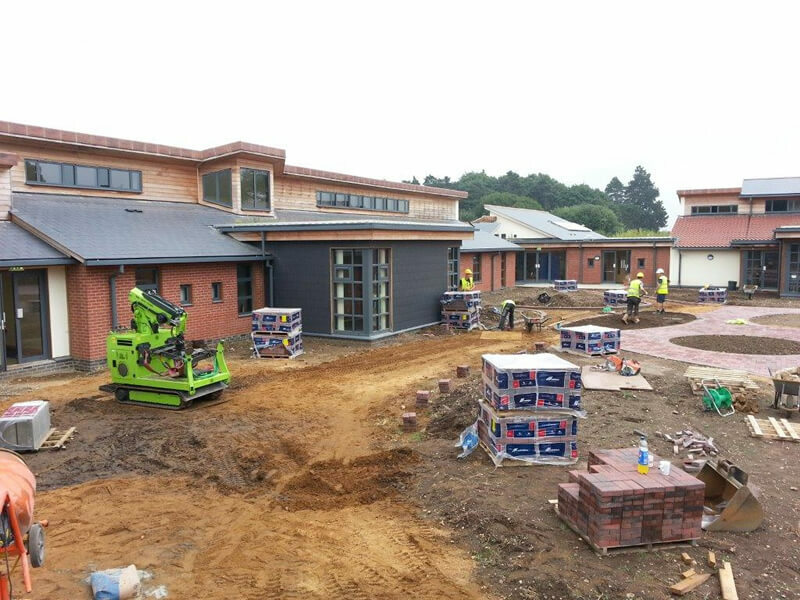 The new Norfolk Hospice was almost completed when the Hooka team received an SOS call from the Block Paving crew working in the enclosed central courtyard. They needed 14 pallets of paving distributed within the courtyard so the laying team, who were already waiting on site, could get to work. 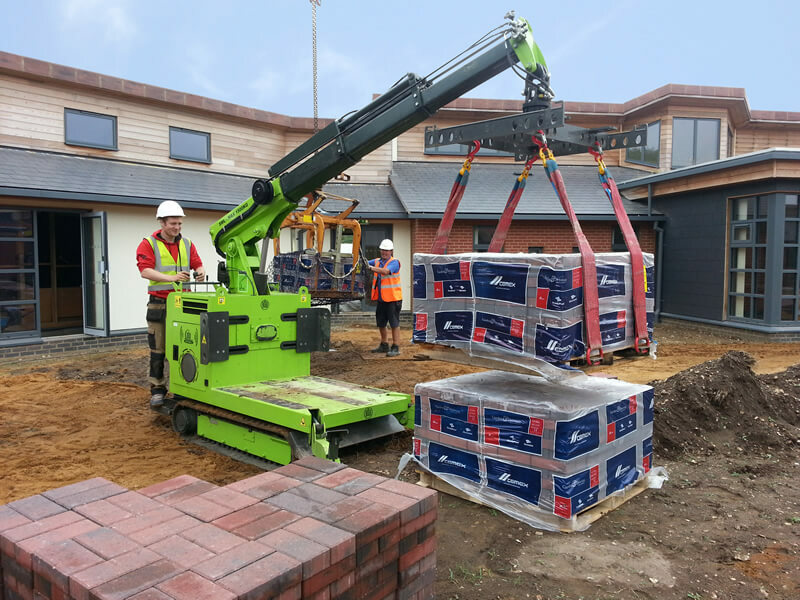 They had tried moving the blocks to the laying areas by wheelbarrow but it was taking 2½ hours to move just one pallet into position (70 metres away), which meant the block layers were constantly waiting for materials – both frustrating and very costly! 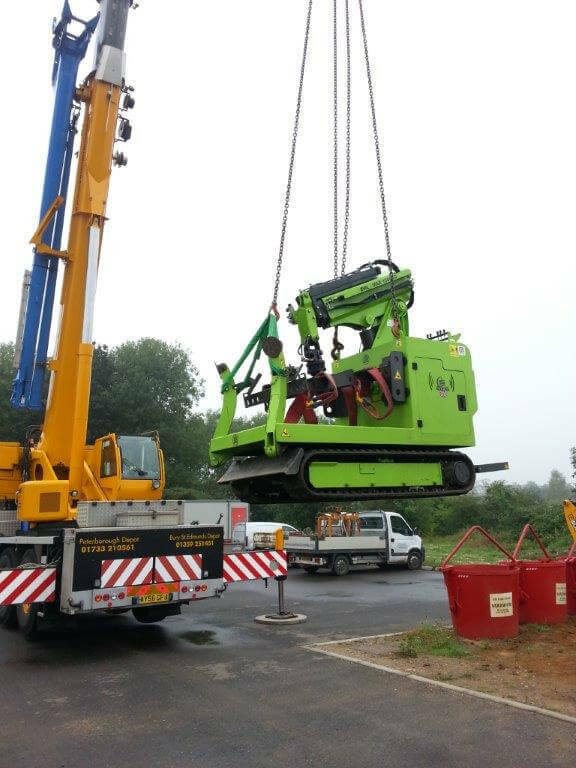 The Hooka was ‘airlifted’ by crane into the courtyard and set to work. 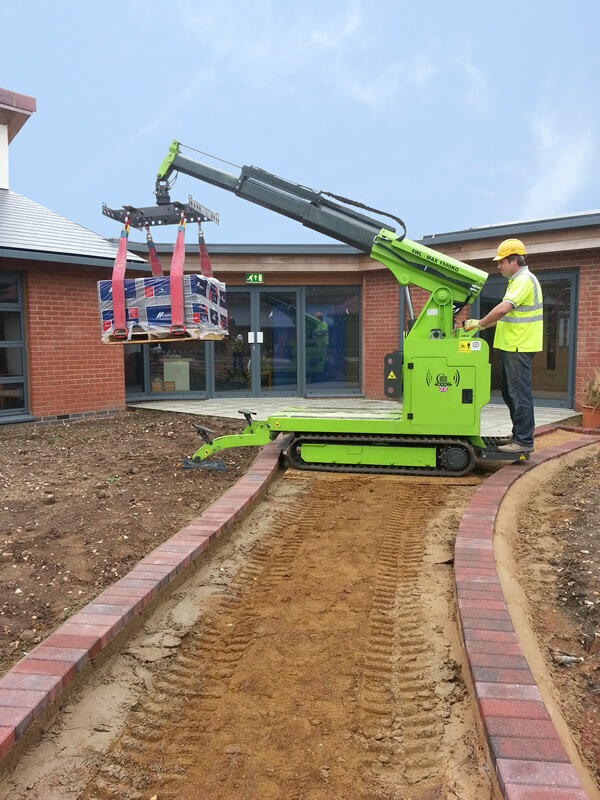 At only 1 metre wide, and having very low ground pressure, she was able to position the pallets of paving blocks exactly where required without disturbing the pre-layed sub-base / edging stones – which the team greatly appreciated! With her 1.5 tonne lift capacity she easily lifted and moved the heavy pallets and the job was wrapped up in just over 2 hours – not only saving time and money but also allowing the laying team to get on with what they do best!